Shri Anant Geete Shiv Sena Cabinet Minister Minister of Heavy Industries and Public Enterprises. Shri Arun Jaitley Bharatiya Janata Party Cabinet Minister Minister of Finance; Minister of Corporate Affairs; and Minister of Defence. Shri Ashok Gajapathi Raju Pusapati Cabinet Minister Minister of Civil Aviation. Shri D.V. Sadananda Gowda Bharatiya Janata Party Cabinet Minister Minister of Railways. 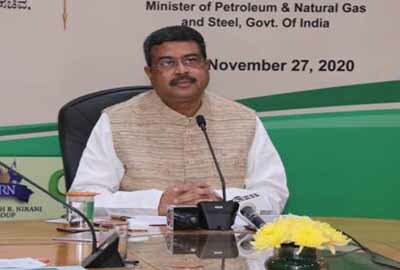 Shri Dharmendra Pradhan Bharatiya Janata Party Minister of State with Independent Charge Minister of State (Independent Charge) of the Ministry of Petroleum and Natural Gas. Shri General V.K. Singh Ghaziabad Bharatiya Janata Party Minister of State with Independent Charge Minister of State (Independent Charge) of the Ministry of Development of North Eastern Region; Minister of State in the Ministry of External Affairs; and Minister of State in the Ministry of Overseas Indian Affairs. Dr Harsh Vardhan Chandni Chowk, Delhi Bharatiya Janata Party Cabinet Minister Minister of Health and Family Welfare. Mrs Harsimrat Kaur Badal Akali Dal Badal Cabinet Minister Minister of Food Processing Industries. Shri Inderjit Singh Rao Bharatiya Janata Party Minister of State with Independent Charge Minister of State (Independent Charge) of the Ministry of Planning; Minister of State (Independent Charge) of the Ministry of Statistics and Programme Implementation; and Minister of State in the Ministry of Defence.